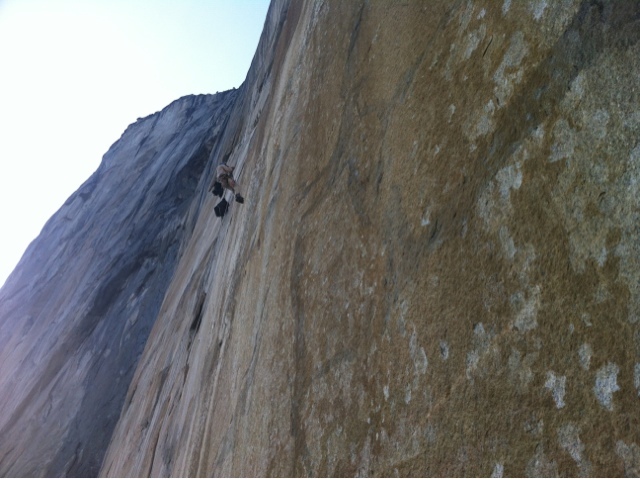 Third day on the wall and today may have been the hardest day of my life!!! First of all i was still getting over poo trauma. And to top it off I was MEGA tired. We've climbed very close to the top of the wall and only have 3 pitches to go. We're sleeping tonight 600 metres off the ground and there a bats in a crack just above my head! at one point I didn't think i could climb the rope and dad said Aldo would have to haul me up. I said that I had to do it otherwise I'd be disappoint when I got to the top. I also had my first cry today but only because I dropped my iPod!!!!!! My dad said he'd buy me an iPad if I got to the top! 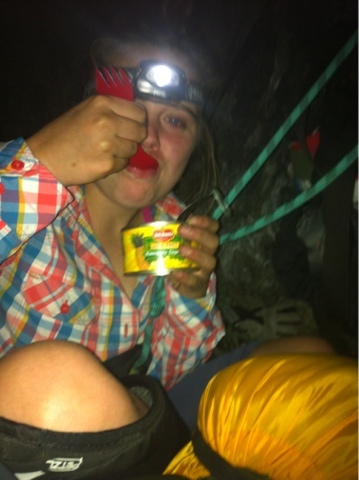 Tea tonight was can of diet Pepsi, cold beans and sausages, a tin of pineapples, and tuna mixed with cream cheese. It sounds horrible but so hungry I don't care what I eat!!!! !